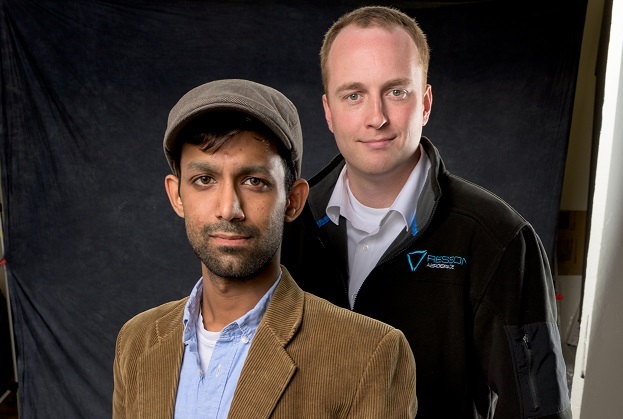 Resson Co-Founders Rishin Behl, left, and Peter Goggin. Sonrai Security, a recently formed cybersecurity company with a sterling management team, raised US$18.5 million (C$24.6 million), almost all from two American venture capital funds. Relationship intelligence company Introhive said in June that it had raised US$15.2 million in an equity-and-debt round led by Toronto-based venture capital firm Lake Bridge Capital. (The equity portion of that deal is equivalent to C$16.2 million.) And AgTech data company Resson in May said it had raised $14 million with Indian conglomerate Mahindra & Mahindra taking the lead. Sonrai Security $24.6M Polaris Partners, TenEleven Ventures. *SomaDetect also announced an investment from Dairy Farmers of America without revealing the amount. The super year for funding in New Brunswick was the pillar of a very good year across Atlantic Canada. Again, the final tallies aren’t in yet, but high-growth companies in the region probably raised about $160 million. Assuming that’s the final number, that would be a gain of more than one-third from $116 million in 2017, which was itself a record year. Any way you cut it, we see green arrows pointing up. Looking at New Brunswick specifically, the big thing to notice is that about $60 million of the investment came from institutions outside Atlantic Canada. That’s almost 90 percent of the investment in the province’s startups last year. Around 2014, we started noticing that institutions outside the region accounted for more investment than those headquartered on the East Coast. Now they account for the lion’s share. That’s important for two reasons: first, there’s a finite pool of capital within the region whereas institutions in other places have more capital than our startups could ever use. And every time an Atlantic Canadian company attracts foreign capital, it chisels away at the stigma of Canada’s East Coast being – dare I say it – a backwater.